KPS News Term 4 Week 3 2018. Welcome to another amazing show with Lilly and Ashleen. A delayed show this week due to a technical issue involving a broken sound cable!! KPS News Term 4 Week 2 2018. Welcome to another amazing show with Lilly and Ashleen. Enjoy Room 20’s cool clay faces that they stuck onto some trees in our native reserve!! KPS News Term 4 Week 1 2018. Welcome to another amazing show with our new presenters Lilly and Ashleen. Enjoy their very confident first show!! KPS News Term 3 Week 10 2018. Welcome to another amazing show with our presenters Mason and Don. Enjoy the beautiful Diwali performance. KPS News Term 3 Week 9 2018. Welcome to another amazing show with our presenters Mason and our fill-in, Campbell. Featuring a good variety of material this week. KPS News Term 3 Week 8 2018. Welcome to another amazing show with our presenters Mason and Don. Another action packed show this week. KPS News Term 3 Week 7 2018. Welcome to another amazing show with our presenters Mason and Don. We have been very lucky to have visitors from the Clark Rd Chapel who have been helping out in the classes this week. KPS News Term 3 Week 6 2018. Welcome to another amazing show with our new presenters Mason and Don. Life here at Kamo Primary is very busy! KPS News Term 3 Week 5 2018. Welcome to another amazing show with our presenters Breize and Ella. There are some amazing photos and videos of our Cross Country. Well done to all our particpants! KPS News Term 3 Week 4 2018. Welcome to another amazing show with our presenters Breize and Ella. There is a real focus on Science and our environment this week. Ryker’s Time Machine is amazing!! KPS News Term 3 Week 3 2018. Welcome to another amazing show with our presenters Breize and Ella. The young children in Pono are really enjoying life at Kamo Primary. KPS News Term 3 Week 2 2018. Welcome to another amazing show with our presenters Breize and Ella. Kamo Primary children are really becoming aware of reducing our rubbish around the school. KPS News Term 3 Week 1 2018. Welcome to another amazing show with our new presenters Breize and Ella. What great show to start the term!!. KPS News Term 2 Week 10 2018. Welcome to another amazing show with our presenters Campbell and Cooper. As you can see from a number of children’s efforts, protecting our environment has been a real focus this term!!. KPS News Term 2 Week 9 2018. Welcome to another amazing show with our presenters Campbell and Cooper. It’s a long show because of all the amazing things happening here at Kamo Primary!!. KPS News Term 2 Week 8 2018. Welcome to another amazing show with our presenters Campbell and Cooper. We hope you are enjoying all the amazing writing that is happening at Kamo Primary. KPS News Term 2 Week 7 2018. Welcome to another amazing show with our new presenters Campbell and Cooper. Apart from a few little nerve-induced errors and glitches, they ran a great first show. KPS News Term 2 Week 6 2018. Welcome to another amazing show with our presenter Abbey and Ella. Today’s show features more amazing stories from our talented tamariki. KPS News Term 2 Week 5 2018. Welcome to another amazing show with our presenter Abbey and our guest presenter, Ella. Today’s show is another real real mix of happenings here at Kamo Primary. KPS News Term 2 Week 4 2018. Welcome to another amazing show with our new presenters Abbey and Sophie. Enjoy the speed ukulele competition the children witnessed at ‘The Nukes’ performance. KPS News Term 2 Week 3 2018. Welcome to another amazing show with our new presenters Abbey and Sophie. 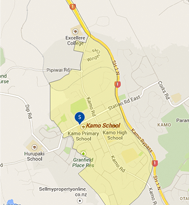 Today’s show is a real mix of happenings at Kamo Primary. KPS News Term 2 Week 1 2018. Welcome to another amazing show with our new presenters Abbey and Sophie. 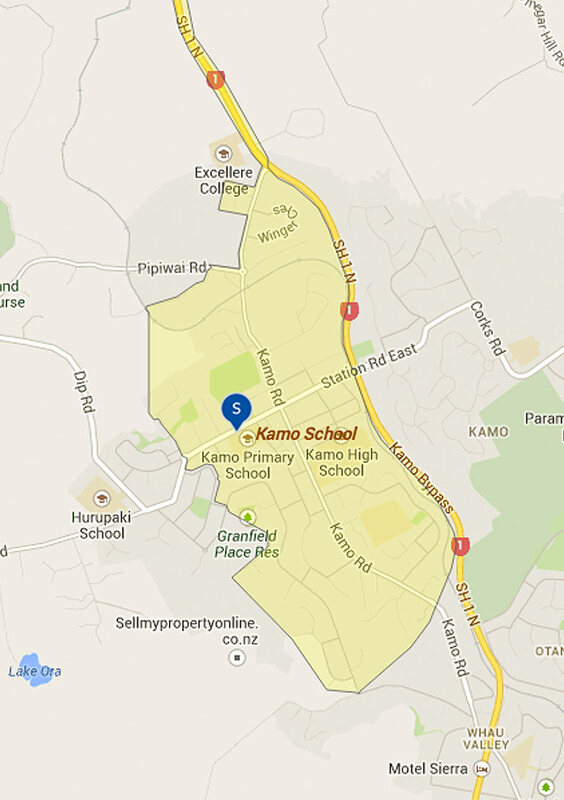 Today’s show is a real mix of happenings at Kamo Primary. KPS News Term 2 Week 1 2018. Welcome to another amazing show with our presenters Poppy and Grace. Enjoy more of our great book reviews. KPS News Term 1 Week 8 2018. Welcome to another amazing show with our presenters Poppy and Grace. You can see how we have had some great trips and visits towards the end of this term. KPS News Term 1 Week 8 2018. Welcome to another amazing show with our presenters Poppy and Lily. Congratulations to our Easter Raffle winners! Thanks to the Home and School, we have raised a huge $2700 to go towards our Junior playground. KPS News Term 1 Week 8 2018. Welcome to another amazing show with our presenters Poppy and Grace. Look out for the amazing school swimming relay team’s winning swim at the Inter-school champs at Whangarei Intermediate! KPS News Term 1 Week 7 2018. Welcome to our amazing show with our new presenters Poppy and Grace. We apologise for the lack of sound from the presenters at the beginning!. We had a small technical glitch. The new crew did really well for their first show! KPS News Term 1 Week 5 2018. Welcome to our amazing show. We hope you enjoy Kowhai”s reinactment of the first settlers landing in Aotearoa! KPS News Term 1 Week 5 2018. Welcome to our amazing show. Hayzel and Lily are certainly enjoying their presenting opportunity! KPS News Term 1 Week 4 2018. Welcome to our amazing show. Lots of Swimming Sports action! KPS News Term 1 Week 3 2018. Welcome to our amazing show. Have a look at some of the great Te Reo happening around the school! KPS News Term 1 Week 2 2018. Welcome to our first show for the year. Our new crew have done an amazing job to produce such a good show! KPS News Term 4 Week 9 2017. Welcome to the Christmas Special, our last show. We wish all our viewers a Merry Christmas, Happy New Year and a great holiday break! KPS News Term 4 Week 8 2017. Welcome to the another great show with our amazing presenters, Kaitlyn and Chloe. Look out for an amazing photos of our school and interschool Athletics! KPS News Term 4 Week 7 2017. Welcome to the another great show with our amazing presenters, Madison and Chloe. Look out for an amazing video of Rimu’s trip to Goat Island! KPS News Term 4 Week 6 2017. Welcome to the another great show with our amazing presenters, Madison and Chloe. Look out for Penny’s amazing science experiment around turning saltwater into fresh! KPS News Term 4 Week 5 2017. Welcome to the another great show with our amazing presenters, Madison and Chloe. Look out for the amazing PuppetPal efforts from Room 8! KPS News Term 4 Week 4 2017. Welcome to the another great show with our amazing presenters, Madison and Chloe. Look out for the great dancing from Room 5! KPS News Term 4 Week 3 2017. Welcome to the another great show with our amazing presenters, Ella and Chloe. There is a great slideshow collection this week of school happenings! KPS News Term 4 Week 2 2017. Welcome to the another great show with our amazing presenters, Madison and Chloe. There is a great slideshow collection of school happenings! KPS News Term 4 Week 1 2017. Welcome to the another great show with our amazing presenters, Madison and Chloe. Although we aren’t in our new studio yet, we have set up a temporary studio in our old room. The new crew did really well under tough circumstances! BREAKING NEWS. Production of the KPS News has been postponed until next term as our studio is being relocated. Keep an eye out for it! KPS News Term 3 Week 5 2017. Welcome to the another great show with our amazing presenters, Ella and Kaleigh! Mr Brown and the eTeam had a great planting session at the Pehiaweri Marae. KPS News Term 3 Week 4 2017. Welcome to the another great show with our amazing presenters, Ella and Kaleigh! Look out for the great School Cross Country photos. KPS News Term 3 Week 3 2017. Welcome to the another great show with our amazing presenters, Ella and Kaleigh! Look out for a more great stories and poems. KPS News Term 3 Week 2 2017. Welcome to the another great show with our amazing presenters, Ella and Kaleigh! Look out for a couple of great stories from Jessica and Cooper. KPS News Term 3 Week 1 2017. Welcome to the first show for Term 3 with our amazing presenters, Ella and Kaleigh! KPS News Term 2 Week 10 2017. Enjoy our last amazing show for Term 2! KPS News Term 2 Week 9 2017. Lots of variety in our show this week. We hope you enjoy it! Sorry, no Week 8 KPS News show this week. Our producer, Mr Leathley, was unwell. KPS News Term 2 Week 7 2017. Look out for the conclusion of the amazing book on the Beginning of the Creation written by Room 4. Amazing!! KPS News Term 2 Week 6 2017. Look out for Part 1 of the amazing book on the Beginning of the Creation written by Room 4. Amazing!! KPS News Term 2 Week 5 2017. We apologise for the lack of sound at the beginning of the news. We had a technical glitch :-/ However enjoy some more great poems!! KPS News Term 2 Week 4 2017. Look out for Kaitlyn’s interview with Senior Constable Bean! KPS News Term 2 Week 3 2017. Look out for some awesome poems from Room 12! KPS News Term 2 Week 2 2017. Look out for Alizae’s awesome full length painting! KPS News Term 2 Week 1 2017. Our first show for the term. Well done to the new crew! KPS News Term 1 Week 11 2017. Our last show for the term. A big thank you to Rliey and Abbie for filling in for our amazing Term 1 presenters, Kaitlyn and Finn! KPS News Term 1 Week 10 2017. Our presenters decided to have a go with using just a minimal script and ad-libbing the rest! Not a bad job by them! KPS News Term 1 Week 9 2017. The girls decided it was a dress-up show day!!! KPS News Term 1 Week 8 2017. KPS News Term 1 Week 2017. Look out for the incredible writers and their vivid descriptions. KPS News Term 1 Week 6 2017. Look out for the amazing ukulele player, Cameryn! !